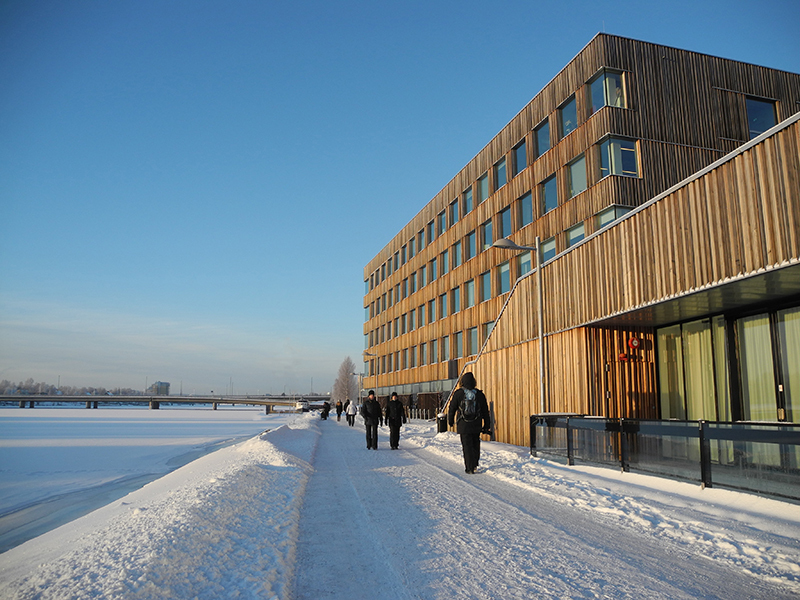 The Academy of Fine Arts at Umeå University is beautifully located on the riverside in the centre of Umeå. The school started in 1987 in a renovated building, a former factory. Since then a lot has happened and the education looks quite different today. In 2011/12 the Academy moved into brand new fascilities at the Arts campus where also the Institute of Design and the School of Architecture are located together with Bildmuseet. Galleriet, a student-run gallery, a stone’s throw from the Academy, is frequently used by the students for their exhibitions. The Academy has well equipped workshops for wood, metal, plaster, bronze, printmaking, photo and video which are available to all students. There are approximately 70 students and each student has a studio space. You can either study the 3-year bachelor programme or the 2-year master programme. Many of the students choose to continue on the master programme. Apart from having a class tutor, the school’s international team of teachers is available as tutors for all students. The students acquire practical, technical and theoretical competence in the form of studies on their own, as well as taking part in courses, workshops, seminars and various exhibition-projects. Apart from the programmes the school offers courses in Aesthetics and generally one or a few summer courses. The programme at the BA level is officially taught in Swedish and the MA programme in English, however from the study year 2018/19 this is changed so that both programmes will be offered in English.